Many executive teams feel that they could improve how they make decisions about resource allocation. These are decisions such as “which strategic initiatives should we approve for this year?” or “how much budget should we allocate to marketing versus customer service?” or “how many beds should be allocated to the surgical program, versus the medical program?” And this is at a time when organizations are all trying to do more with less – more sales with less sales staff, more shipments with less cost per shipping, more strategic initiatives with fewer leaders to push them forward, and so on. Different people involved in the decision-making process have different goals and objectives. A win for one participant is a loss for another. Decisions are often influenced by personality and emotion, as opposed to based on evidence. Decision making processes have no feedback loop. As a result nobody keeps score on the quality of the decisions, and decision-making doesn’t improve over time. Some teams have frameworks that they use to support decision-making, but it’s not working for them because the process, framework, and technology (i.e. spreadsheet, decision-support system) is too complicated to use, or it’s too cumbersome to maintain. Even worse, is when the team is attempting to use an “off the shelf” solution that doesn’t do a good job of capturing what’s important to them as a team. … as opposed to a one-time event. For example, it may very well be that you only decide which IT projects will be approved once a year, however, a year goes by quickly, and you’ll be right back at the decision making point soon. See the design of an effective process as an investment for your future, and a means to make the most out of your scarce resources. Tip 2: Define the common goals that your allocation should be based upon. This should be something that the entire team can get behind. The financial side is often over-represented in these types of decisions, so it’s important to round out the goals to include non-financial aspects as well. Ideally you should see a connection here to your mission statement, organizational values, this year’s strategies, and your overall strategic plan. Tip 3: Decide on the rules of the game. Again, the entire executive team should agree on the rules of the game at the very beginning. The rules should be fair and transparent. The executive team should avoid reverse-engineering the process to justify one-time decisions, and instead the process should be based on agreed-upon principles. Ultimately, if the rules of the game are set up right, they will serve to communicate to the entire team what behaviours will be rewarded. It’s at this stage where the team will need to agree on what objective inputs will be input into the decision making process. Tip 4: Have an objective party “keep score”. Tip 5: Improve now, keep it simple, and learn as you go. 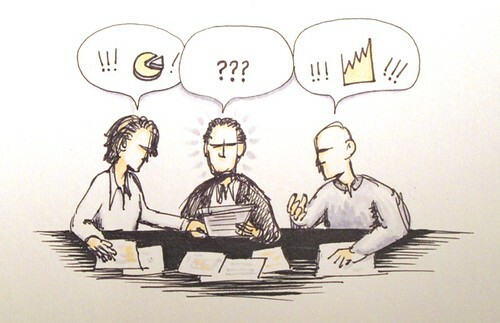 Sometimes executive teams try to make the “perfect” decision-making process before they are willing to use it. At the end of the day, making a minor improvement over your current state is still an improvement in the right direction. For example, if your executive team makes resource allocation decisions based on purely financial information supplemented with qualitative information, then an improvement may be to quantify a non-financial consideration (i.e. Scoring “alignment with our three year strategy” on a High, Medium, Low scale is better than nothing). These processes can grow out of control, so it’s important to keep it as simple as you can get away with. And finally, chances are that along the way the executive team will identify how the resource allocation process can be improved next time. These improvements can and should be incorporated into the next round of decision-making to make the best, simplest process possible. You will know that it’s working if your executive team feels comfortable with the process, and is able to support the resource allocation decisions that are made.